Not my favourite vegetable so i was quite excited when i came across this video. 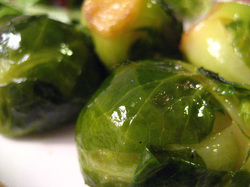 Can't wait to try Brussel Sprouts The Desi Way will you be giving it a try ? ?